So, this past week was my three year blog anniversary! I honestly can't believe I've been at it for 3 years! I truly appreciate the time you take to read my posts and leave such wonderful comments/emails. Your input means so much and I am so grateful for your continued support over the past three years. PS: I'm obsessed with Maddie on Things! Seriously, such a cute dog/blog! Side note - Maddie On Things is one of my favorite blogs to look at. YAY! Congrats! I am so glad that I found your blog!! Keep up the great work and most importantly, keep having FUN! Happy Blogiversary lovley lady!! :)Keep being fabulous! Happy Blog anniversary! You are so inspiring! Oh, Maddie is the best! My pups would never put up with all that... lol! Aww, Happy 3 Years from one art fart to another!! That photo is making me die a little. 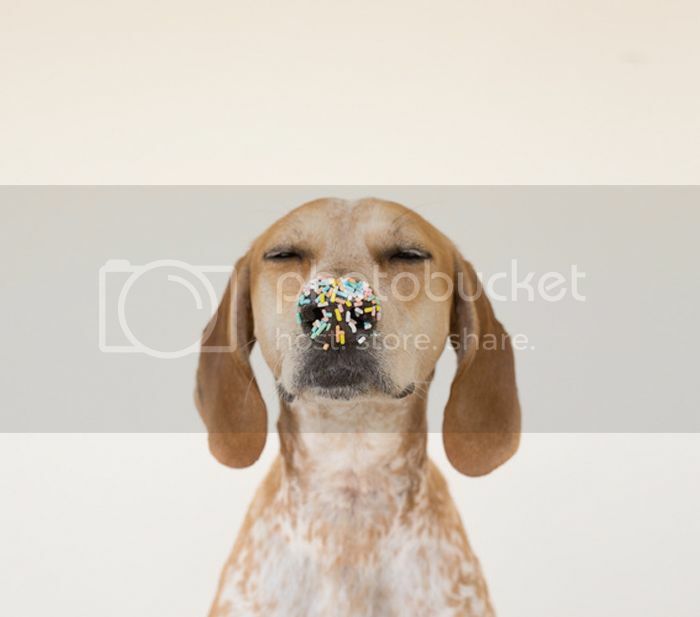 My Boston Terrier would gobble those sprinkles in two seconds if she had the chance. Congrats!! I just discovered (somehow!) Maddie on things and am obsessed!! Did you see her on the Today Show? ?